I just wanted to drop in quickly to wish everyone a very Happy Thanksgiving. We always have so much to be thankful for, but I really want to focus on being thankful for this amazing country we live in and all the rights and responsibilities that come with being a citizen. We are far from perfect and can be pretty hateful to one another, but we still have the privilege of calling ourselves citizens of the United States of America. I did absolutely nothing to deserve being born here, same as the innocent children of Syria or Africa did nothing to deserve being born there. We must always give thanks for the cards we have been dealt as Americans. This holiday season, I charge my readers with the task of coming together over the lines. It is a tumultuous time for many nations, including our own. The fight against evil that we currently face is much bigger than inflammatory statuses on Facebook. This is a fight that we must come together to win. Those who oppose gay marriage and those who are gay will have to band together. 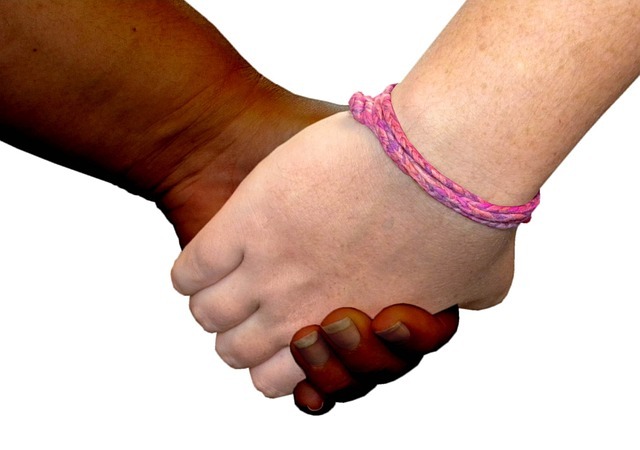 Those of color and those who are racist will have to come together. Evangelical Christians and Atheists will have to walk hand in hand. Despite our many differences, we must come together over the lines we have drawn between one another. We can no longer spew hate at one another for our differences. We must love one another as American citizens. The fate of our country depends on it. Maybe by being forced to come together to win against true evil, we will all learn to love and appreciate each other because of our differences...not in spite of them. No matter your feelings on the Syrian refugee crisis or anything else, find a way to help someone. In small ways and big, if we all make a point to do something for those less fortunate than ourselves, our world will be a better place. I guarantee it. Bubba and I will be up and at em' tomorrow morning to deliver Thanksgiving meals to those in need around the community. Happy Thanksgiving! I love and appreciate each and every one of you.